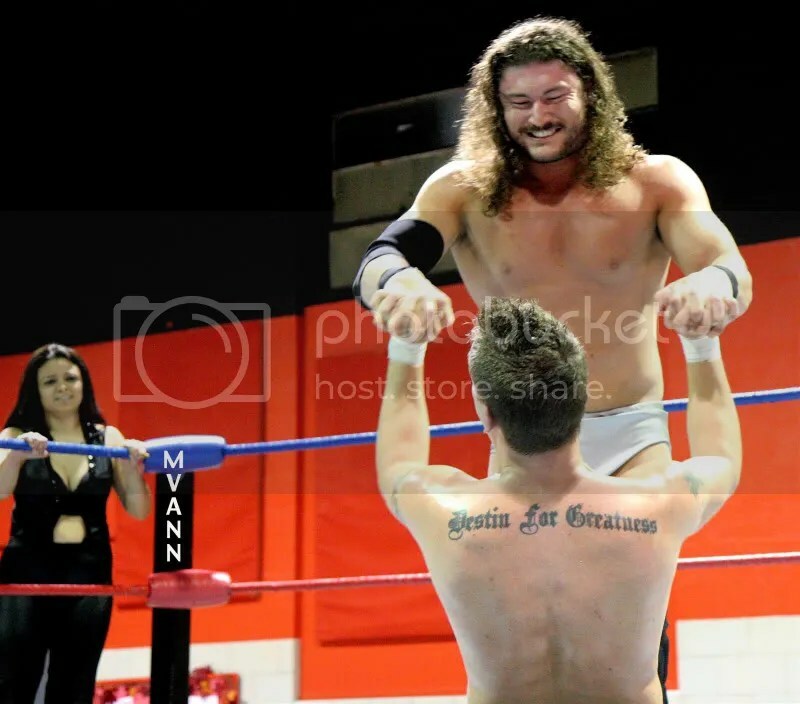 Cape Championship Wrestling has been entertaining wrestling fans in southeast Missouri, southern Illinois and western Kentucky for nearly a year. 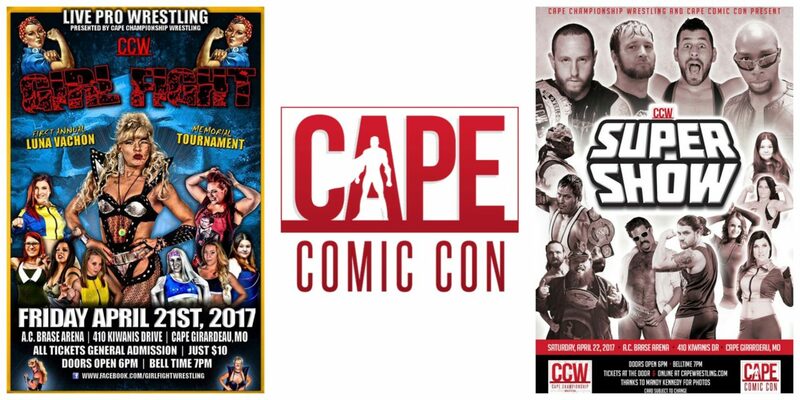 CCW will have a big presence at this year’s Cape Con event. On Friday, April 21 it’s ladies night as CCW teams up with Madman Pondo for Girl Fight. It’s the first ever Luna Vachon Memorial Tournament. Then on Saturday, April 22 it’s the CCW Super Show. You’ll see all the stars of CCW including champion Brandon Barbwire, tag champs Farmer Billy Hills & Dell Tucker and Austin Lane. Plus guests scheduled to appear include Colt Cabana, Joey Ryan and Jeff Cobb. 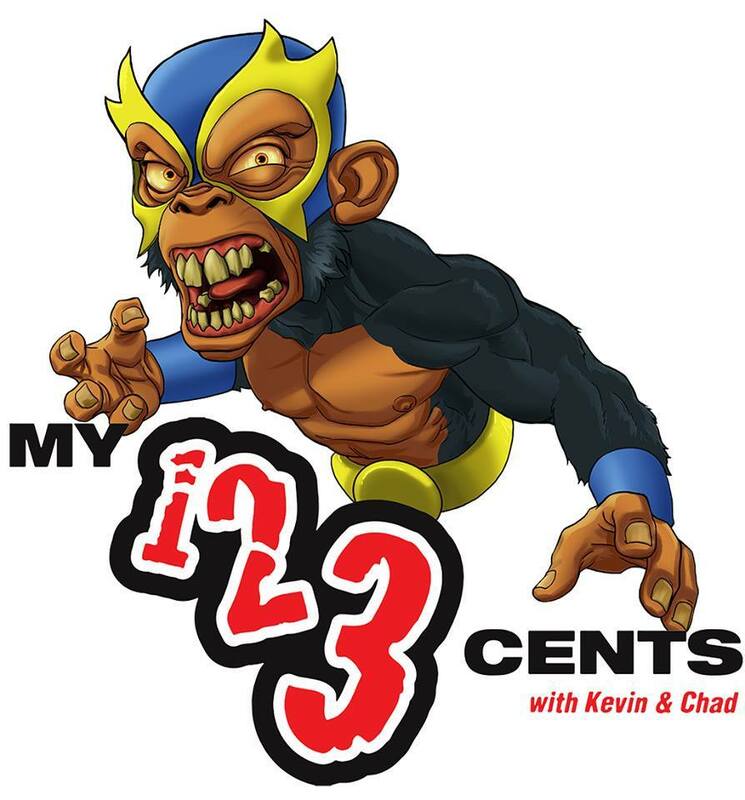 The company’s COO Jason Wells explains more in today’s podcast. Stride Pro Wrestling is working on a big show in May. It includes a TLC match for the Stride Pro Wrestling championship as Heath Hatton defends against Roger Matheus. And former WWE Superstar (Brodus Clay) Tyrus will also be on hand. It’s a great time for indy wrestling. Come out and support the men and women of the mat. Thanks! Brian Breaker 2011 Missouri Wrestling Revival Future Star. The goal of Missouri Wrestling Revival has always been to support the men and women of Pro Wrestling. In 2010 we debut the prestigious MWR Future Star award. The criteria is for a wrestler who has not only has the skills to make it to the top but the desire and dedication to seek out opportunities to be the best that he or she can be. We could not be more excited than we are this year in the wrestler that we have chosen. Not only does he have the size, build and skills to be a star in the sport for many years to come but he also has been under the watchful eye of the 8-time NWA World Champion Harley Race. His name is Brian Breaker. Standing at 6”3 and a chiseled 255 pounds he has burst onto the wrestling scene at the young age of only 21 years. Hailing from Sand Springs Oklahoma, Breaker has sent many opponents on his feared finisher the Oklahoma Death Ride. With raw talent Breaker has already been able to capture gold as one half of the WLW Tag Team Champions as well as being a two time WLW World Heavyweight Champion. Scouts in Japan have quickly noticed the talent that the man possesses and in the spring of 2011 he was invited for a tour of Pro Wrestling Noah. Once he returned to the Midwest he has taken his bone crushing moves to Metro Pro Wrestling in Kansas City and NWA Dynamo and SICW in St Louis. When WWE came to St Louis in 2011, he was asked to step up to take on highly hyped WWE’s Brodus Clay in a battle of two powerhouses and though Clay would get the win, it would be valuable experience for Breaker. Meanwhile, Breaker dominated the competition in his home base of WLW including an exciting defense of his title against young Jack Gamble during the annual WLW/Pro Wrestling Noah show in Eldon Missouri. During the camp Breaker would continue to learn from the very best in WWE Hall of Famer Ricky Steamboat, Kevin Von Erich and Steven Regal. It is with great pleasure that we are to name the 2011 MWR Future Star of the Year award to Brian Breaker.